Applied behavioral analysis (ABA) is often used to limit the negative patterns among children having autism spectrum disorder, like overstimulation, aggression, self-injury, and anxiety. Autistic children ABA should be started as early as possible. Before you enroll your kid into an autistic children ABA program, there are abilities and needs to be evaluated. The process, typically, begins with a series of development assessments. The first in the series is a proper diagnosis, carried out by a licensed psychologist. The diagnostic assessment will provide a better review of the child’s condition. The diagnosis may rule out several other related disorders like Persuasive Development Disorder—Not Otherwise Specified and Asperger’s syndrome. The child, from there, will have to undergo a development assessment. 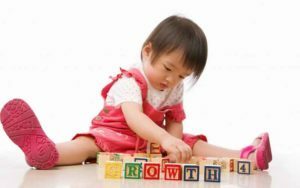 Here, it will be determined how the child is developing in all the areas, as compared to his/her neuro-typical peers of the same age. The assessment will measure all parts of a child’s skill level that includes picking up social skills, motor and language capabilities, adaptive and cognition skills. Various professionals will carry out the assessment. These include psychologists, social workers, ABA providers, and special educators. An autistic child, who exhibits difficulties in some areas of development, could be asked to participate in a domain specific assessment. Such assessments focus on a particular area of development and are carried out by certified specialists. For instance, a licensed psychologist could be tasked to perform a social interaction assessment, while a speech pathologist would conduct a language-based assessment. With every assessment, parents of the autistic kid will get more informed about the specific needs of the child. This will provide parents with better insight into the type of autistic children ABA program that’ll be right for the child. When the child is seen struggling in a specific area, parents should be on the lookout for a program which addresses these particular skill sets. Video Simulation is Autism: The Latest Hack?